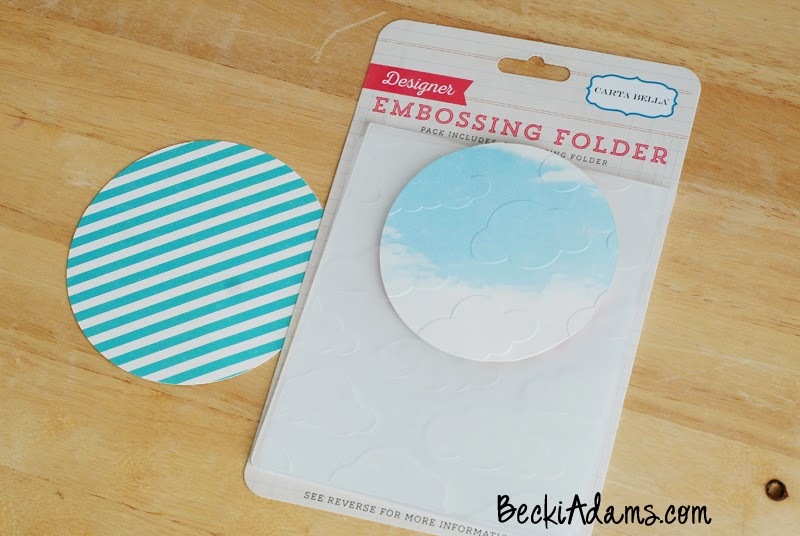 I thought that for Lets Talk Tuesday this week we'd shake things up creating a small gift with scrapbooking supplies. As a paper crafter I (probably like many of you) have accumulated quite a stash of paper crafting supplies. 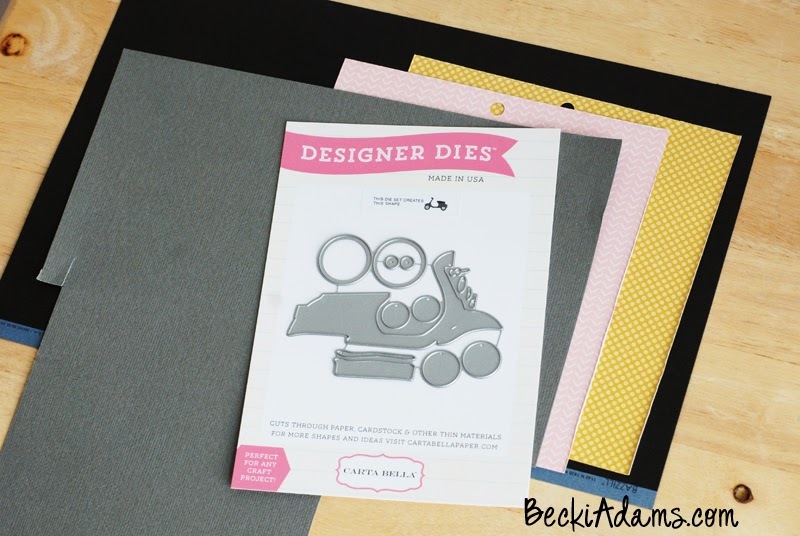 I like to put those supplies to good use whether it's on a scrapbooking page, a card, or a gift. 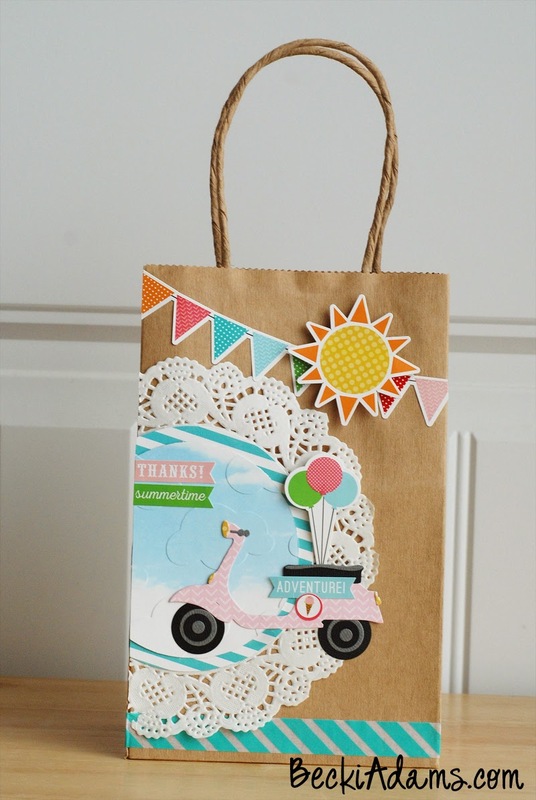 This time, I created a cute gift bag for a teacher appreciation gift. 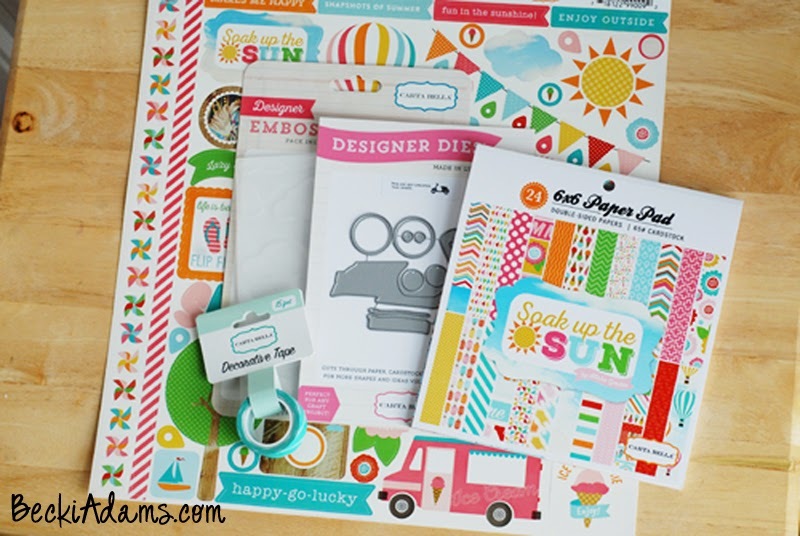 I used the Soak Up the Sun collection (by Carta Bella Paper) to make this a bright happy gift. 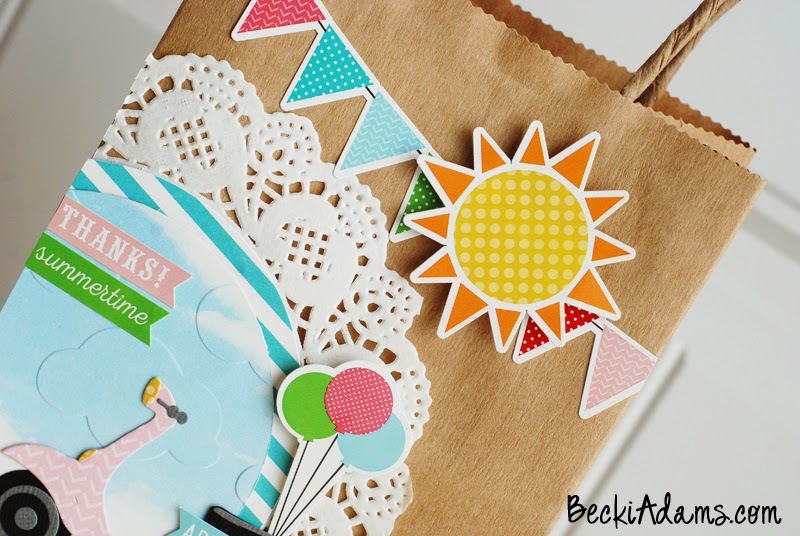 I started with a kraft gift bags and a few elements from Carta Bella Paper's Soak Up the Sun collection . After I cut out all the pieces I was ready to start working on the gift bag. 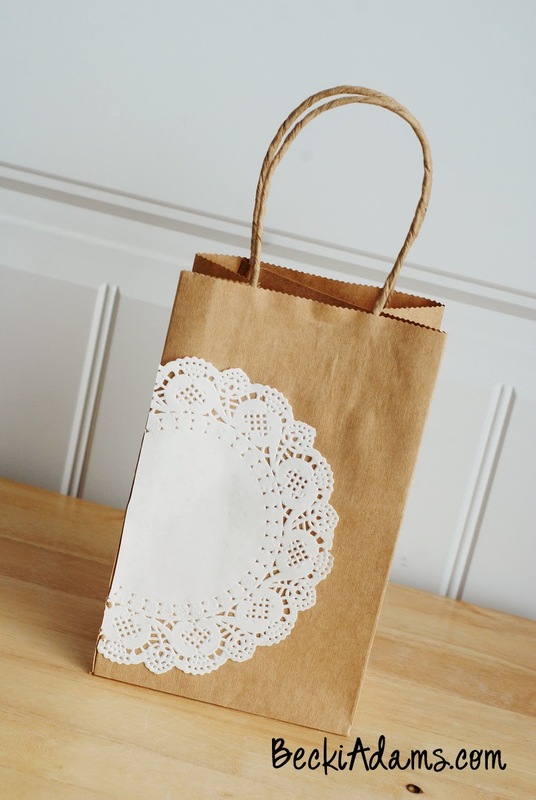 I added a paper doily on the edge of the bag and trimmed the edge of the doily off the bag. After I added the doily I cut two circles from patterned paper in the Soak Up The Sun 6x6 Paper Pad using a circle cutter . 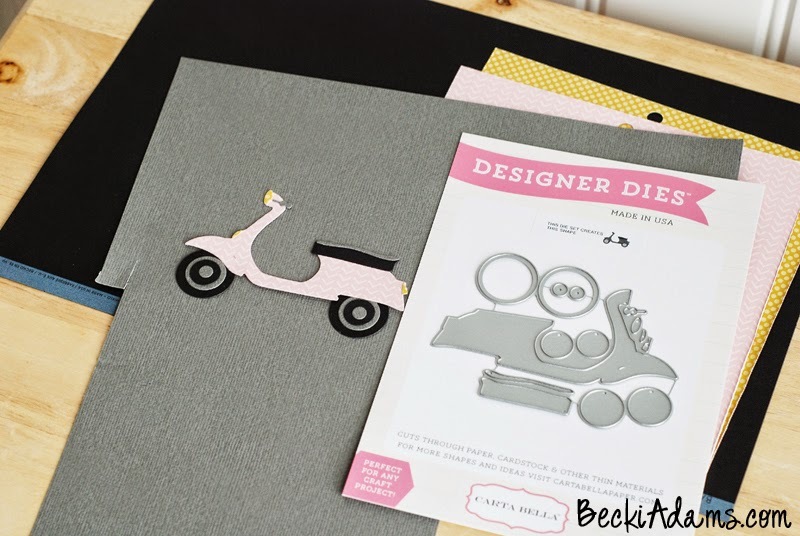 I embossed the smaller circle with the Cloud Embossing Folder once again using a manual die cutting machine (Sizzix Big Shot). Then, I added the circles on top of the doily. 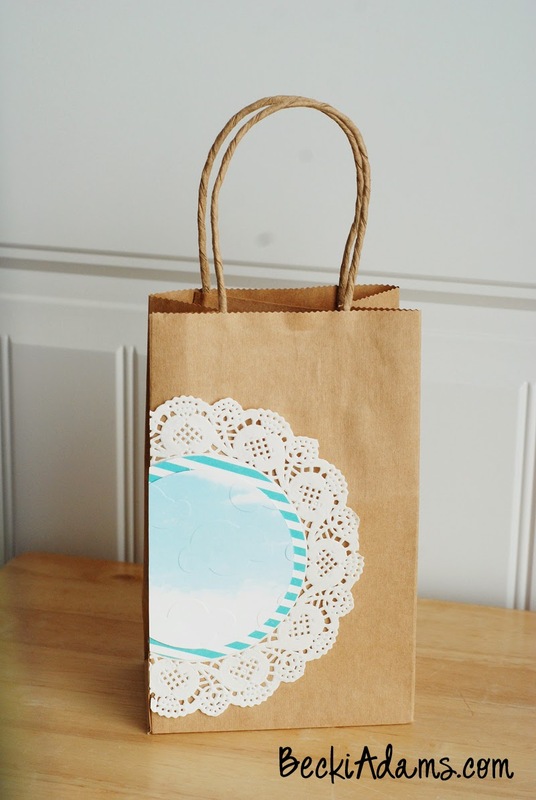 After adding the doily and the patterned paper circles to the gift bag I was ready to finish it up with some stickers and a little bit of Soak Up The Sun Decorative Tape, Striped Washi Tape . I think I'll fill this cute bag with a few treats and maybe a gift card for a cute teacher appreciation gift. Last year when I helped with a teacher appreciation dinner I created some cute water bottles for the entire staff at my kids school. You can find all the details to that HERE. Amazing bag - so sweetly done and just so full of cuteness and great colors!! Loved seeing your process and the details that you put into it!! Thank you so much for sharing!! !